Jennifer has provided strategic public relations and marketing communications council to b2b and b2c clients for over 24 years. With a diverse background that includes both client and agency-side experience, Jennifer has a proven track record for developing successful initiatives that yield measurable results. Partnering with clients to shepherd campaigns that meet and exceed objectives while capturing the attention of media and analysts, Jennifer’s outstanding rapport with top journalists and producers has helped her earn unprecedented coverage for her clients. 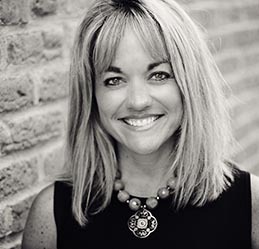 Providing global public relations, investor relations and branding consultation, Jennifer specializes in integrated communications programs for the financial, professional services, health, technology and business services sectors. Over the years, Jennifer has been privileged to help a variety of companies with their communications initiatives, including 4Cite, GovDelivery, Jump Technologies, Lawson (Infor), MedHub, PeopleNet (Trimble), Robert Half, Rollerblade and SPS Commerce. Jennifer received her Bachelor’s degree in International Business, Economics and German from the University of St. Catherine in St. Paul, Minnesota.